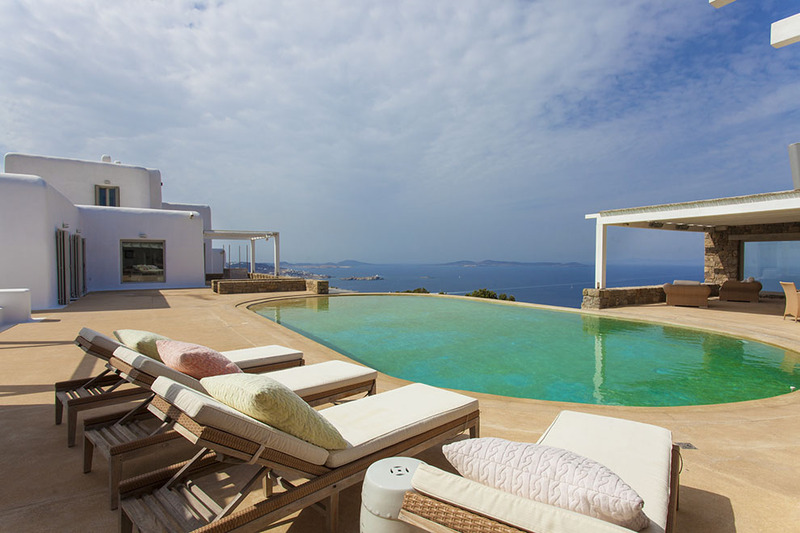 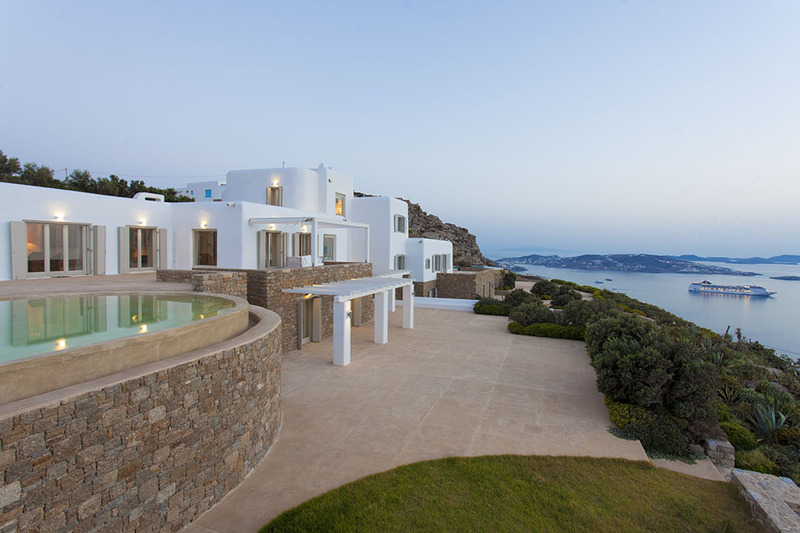 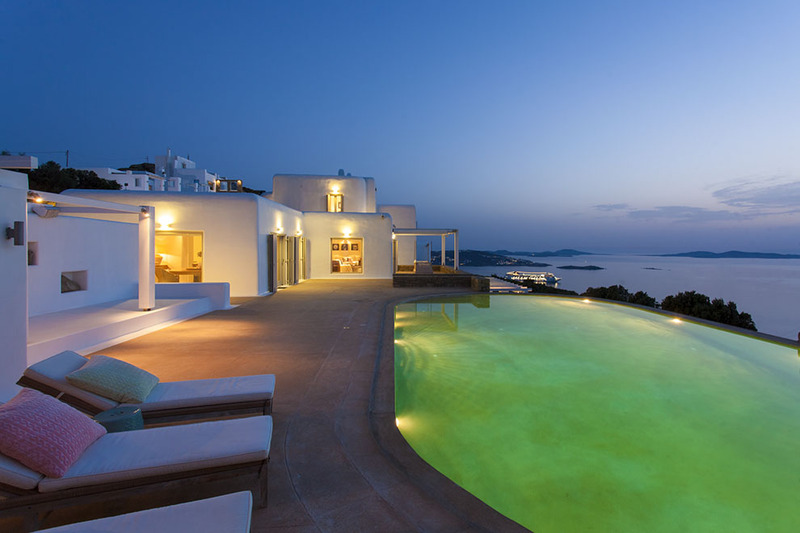 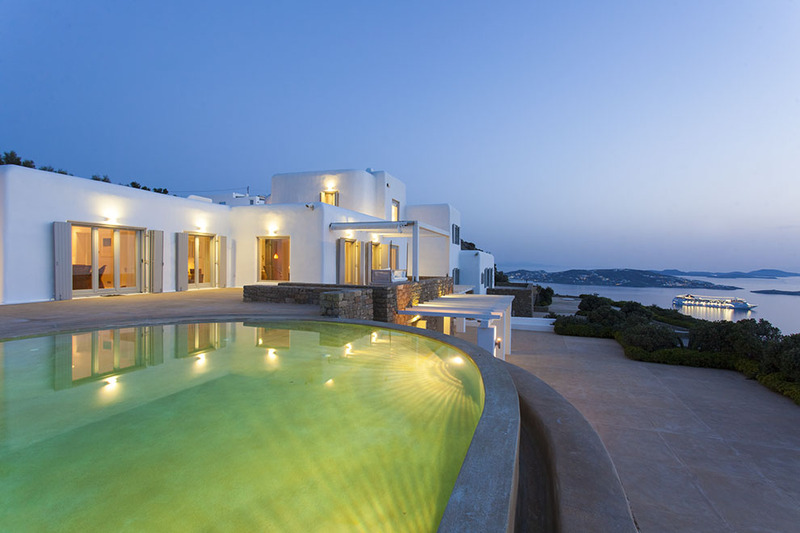 The luxury villa Onar is located at the area of Santa Sophia, west of Mykonos, offering a panoramic view to the endless blue of the Aegean with its magic sunsets, which create a unique atmosphere full of vivid tints. 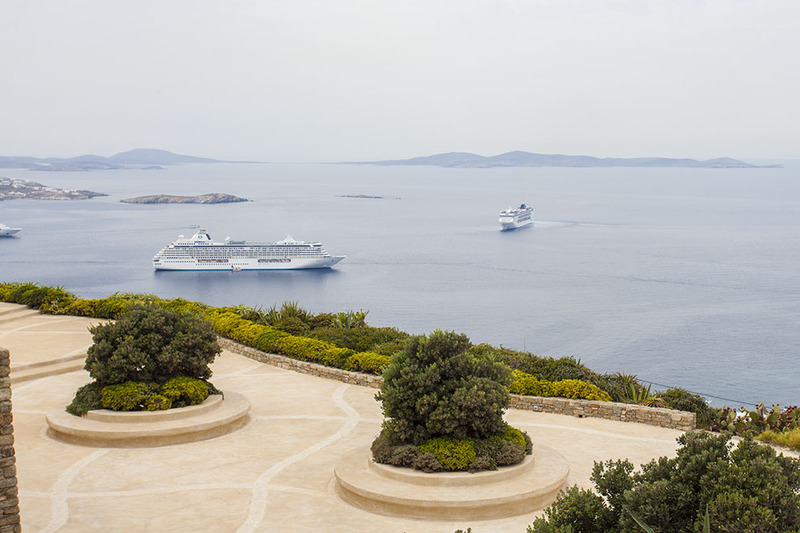 This one and only natural picture is complemented by the opposite island of ancient Delos, and the multi–colored lights of the numerous cruise ships, sparkling in the night as a jewel. 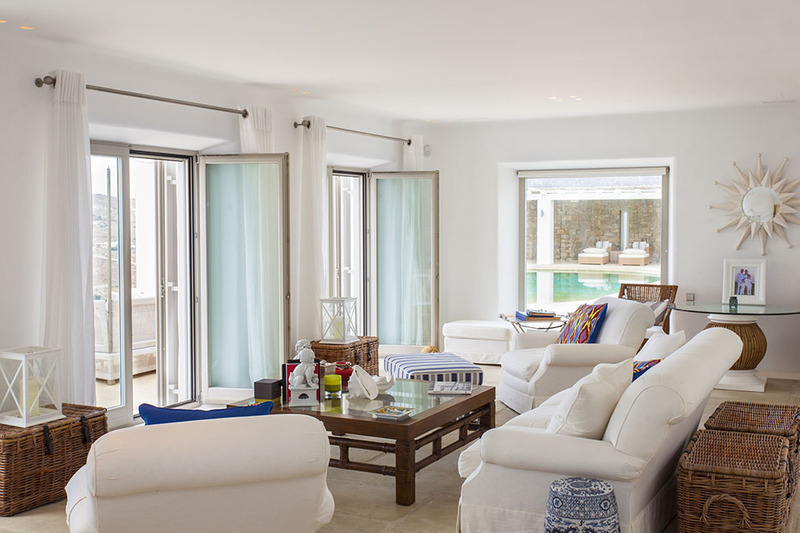 Inside the villa the impressive reception area prevails, along with the state dining area, both of which offer full comfort and an ample view of the Aegean through the many large glass partitions along them. 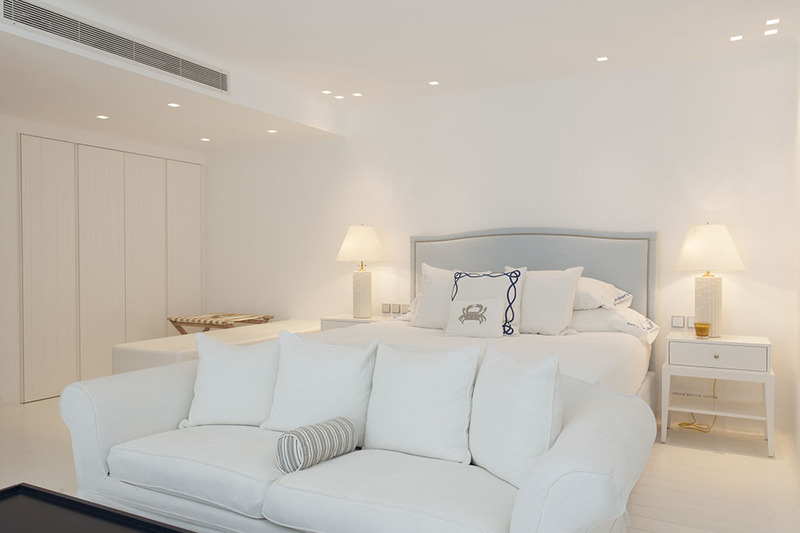 Seven spacious bedrooms uniquely decorated, as well as three guest rooms, promise a pleasant and comfortable stay. 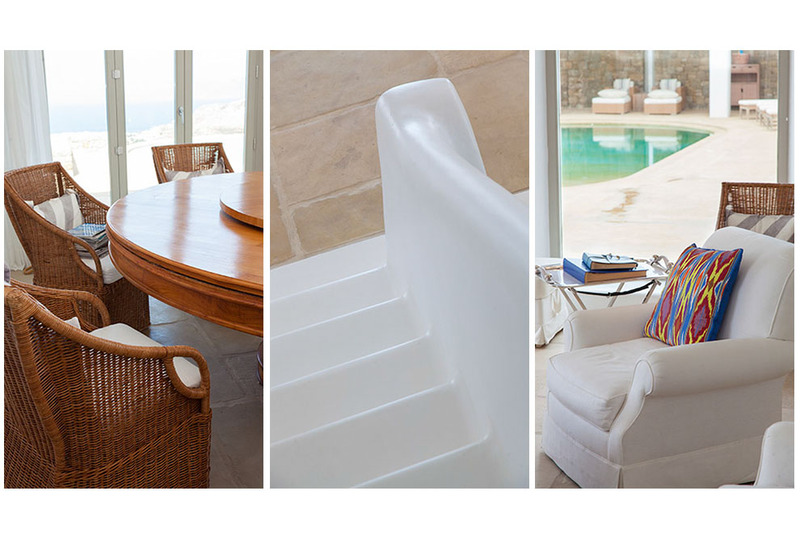 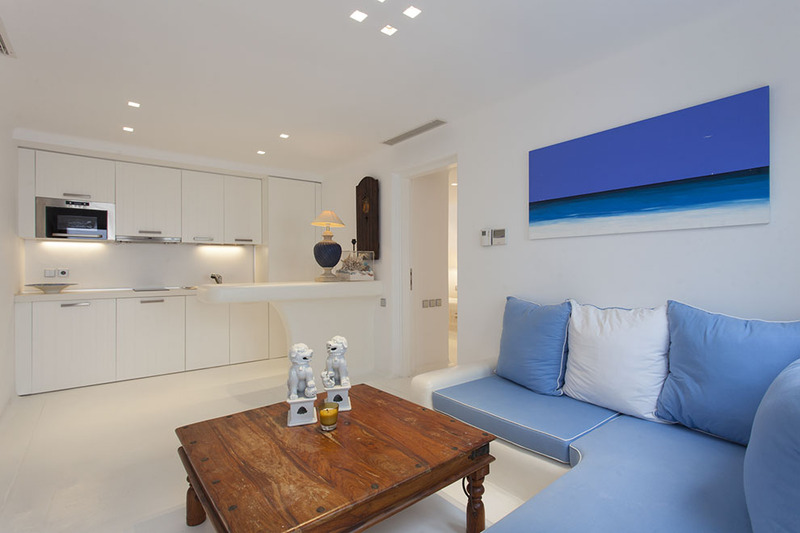 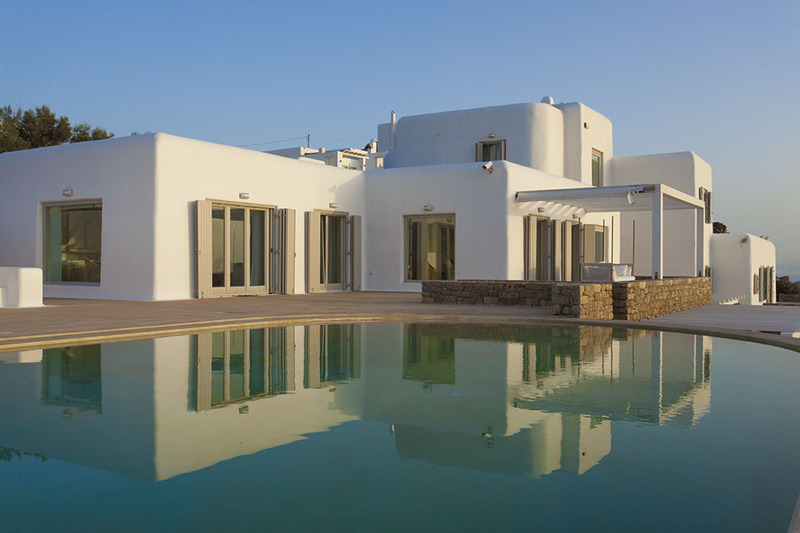 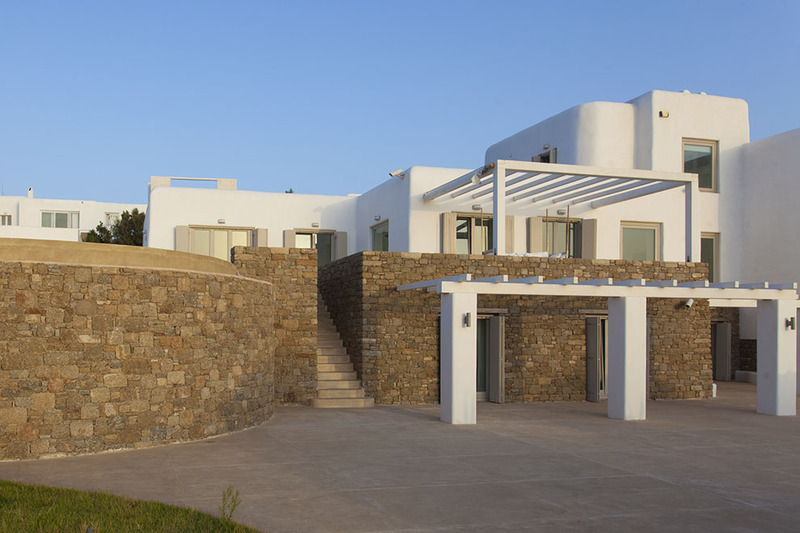 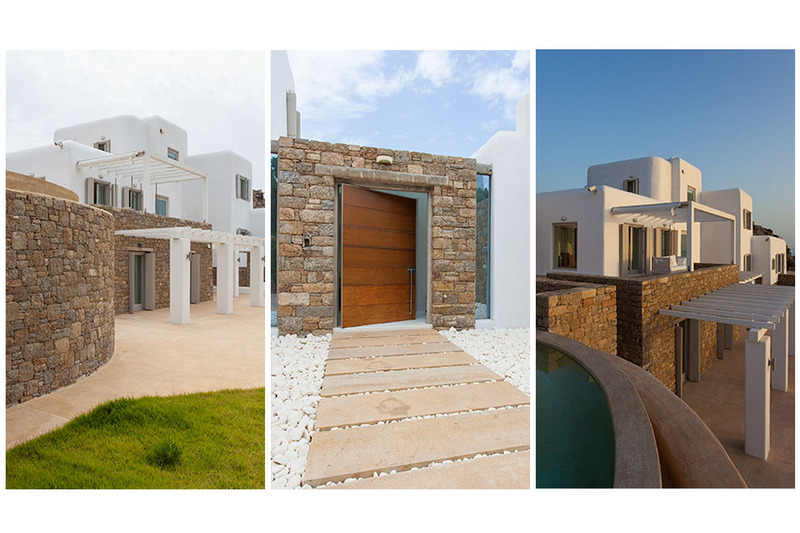 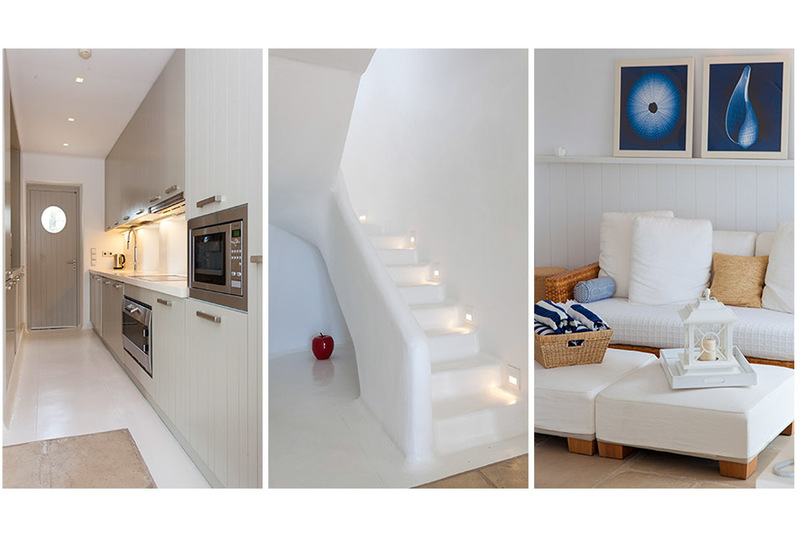 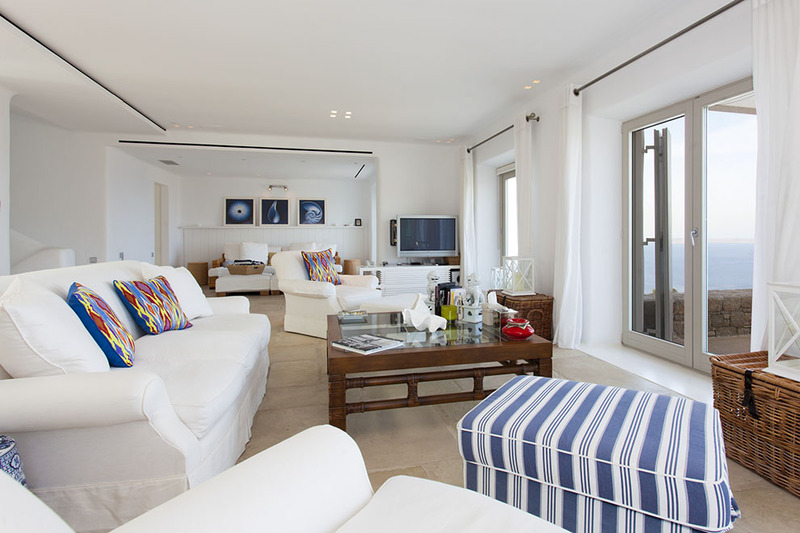 The Cycladic Mykonian architecture of the Mykonos villa, along with its minimal modern furniture, create an impressive and elegant atmosphere, ideal to satisfy even the most demanding guests. 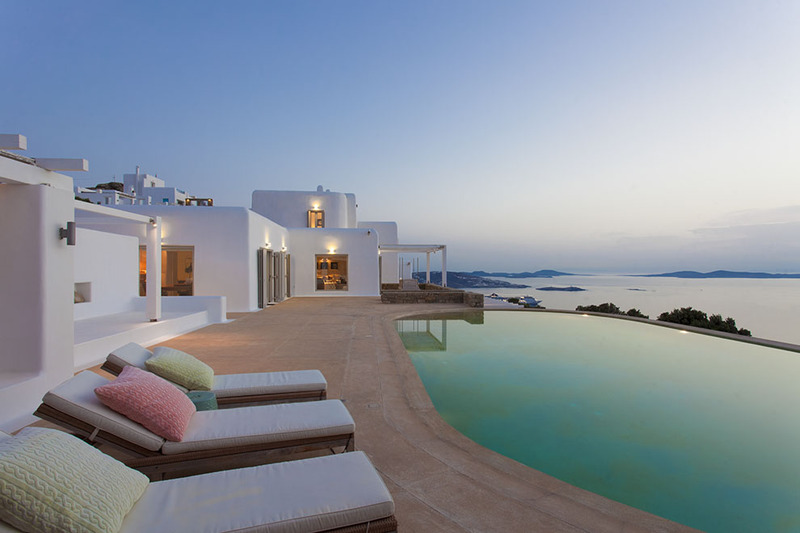 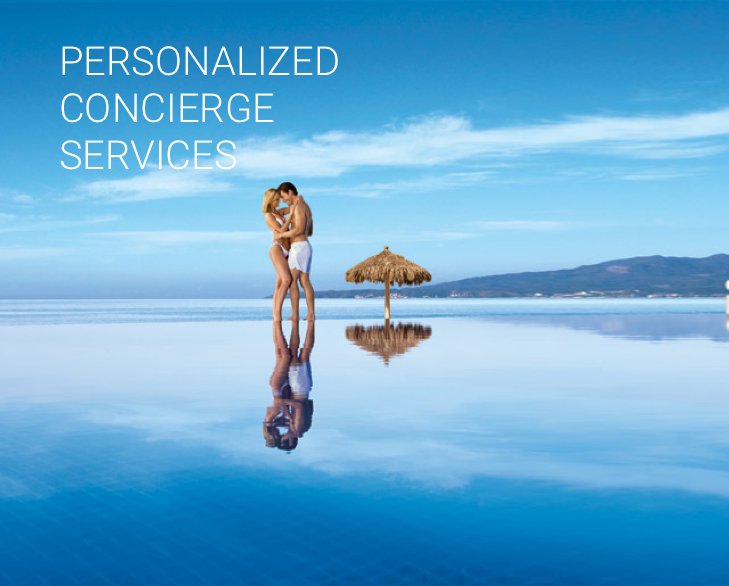 At the exterior grounds, the large infinity pool stands out, offering the opportunity to enjoy unique moments of sunbathing and relaxation. 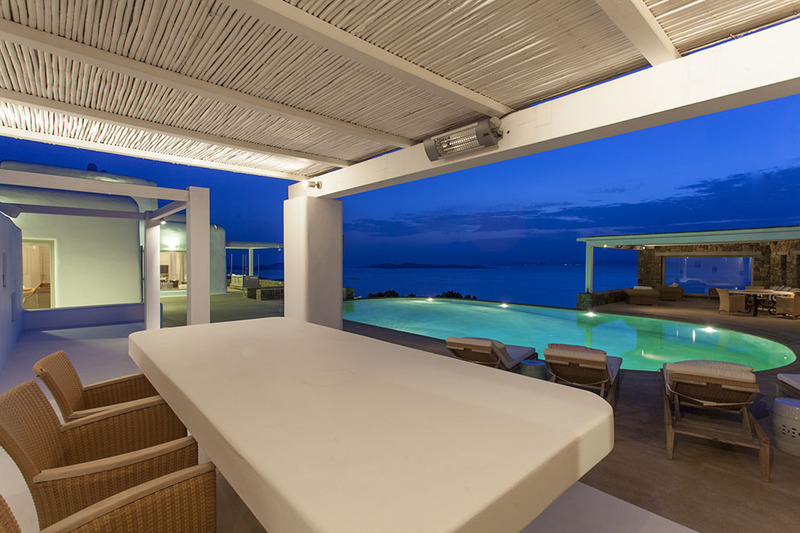 Surrounding the pool and covered with pergolas, the wind–protected outdoor sitting and dining areas are especially designed for morning entertainment or night parties. 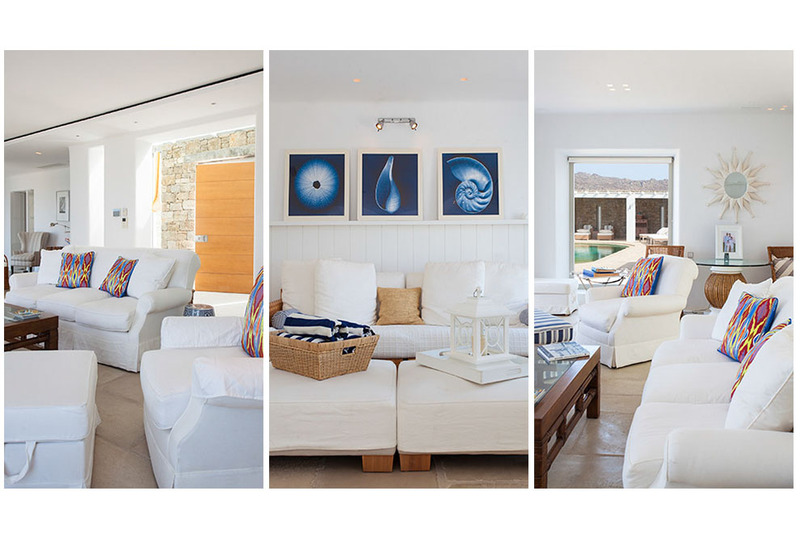 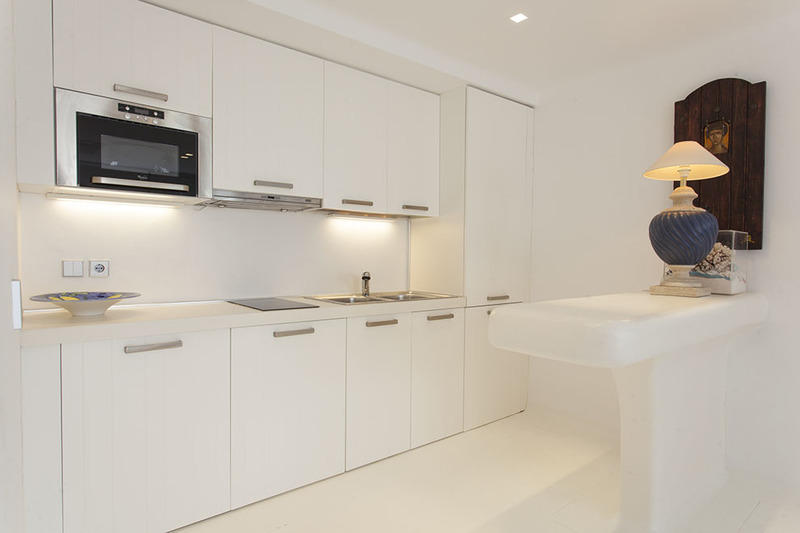 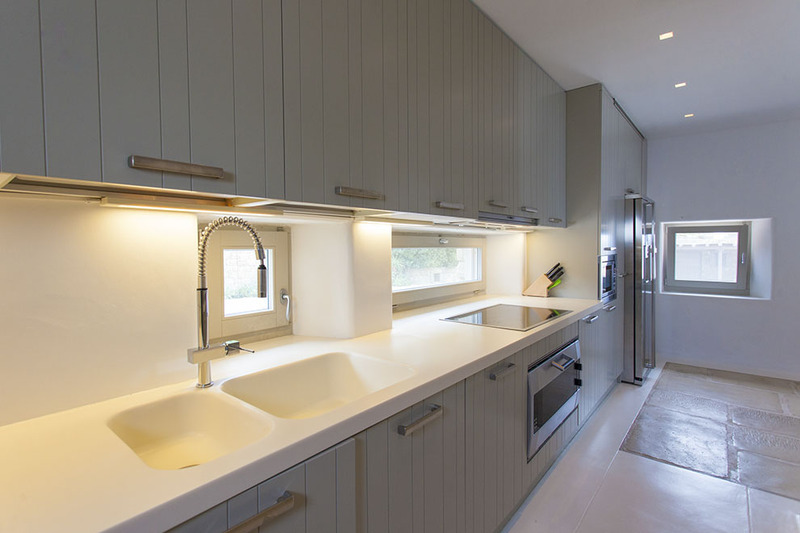 Villa Onar is ideal for guests wishing to combine high standard facilities in a unique environment of absolute privacy with easy access to the golden beaches of Mykonos, as well as its cosmopolitan town with its picturesque narrow streets and intense nightlife.